Mio Spirit an accident waiting to happen? 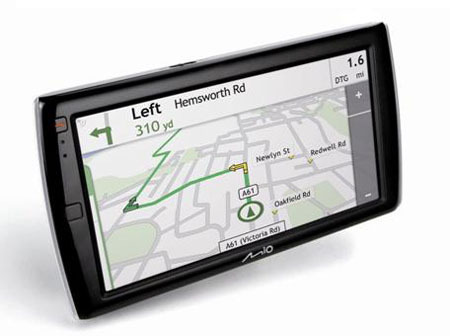 The Royal Society for the Prevention of Accidents (RoSPA) has hit out at Mio’s latest satnavs, which allow drivers to catch some TV while driving. Mio’s 4.7in and 7in Spirit satnavs can pick up DVB-T signals, but only display a warning when TV mode is enabled, not while it's being used on the move. Nor does it disable TV viewing when it detects that it's in motion. The manufacturer previously told Register Hardware that both models can receive TV signals at speeds of up to 60mph. But Duncan Vernon, Road Safety Manager at RoSPA, today told Register Hardware that “the danger is there that a minority [of people] will use the satnav in TV mode while driving” which would encourage them to take their eyes off the road. He added that although legislation specifically covering driving while watching TV is sketchy, police can pull over or arrest telly-watching drivers under careless driving laws. RoSPA admitted it has not raised its concerns with Mio. Instead, Vernon recommended that the firm read the European Statement of Principles on Human Machine Interface for In-Vehicle Information and Communication Systems report. Comment Tosh and WDC still talking, say others... is the end in sight?